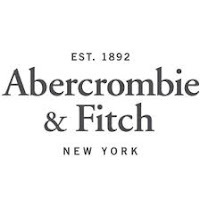 Abercrombie & Fitch Global Diversity & Leadership Scholar Award is open to high school seniors who are members of the National Society of High School Scholars (NSHSS). An average of 12 scholarships are awarded each year. The scholarship can be used for the first year of college. Competition for scholarships is based on academic excellence and requires that students complete an essay on the theme of diversity. Students may choose any college to attend. NSHSS is a non-profit, member-based organization for outstanding students who excel academically as well as being leaders and believers in diversity. The organization provides student members with information on academic and leadership programs that will encourage excellence and career development. Membership requires students to have an SAT score of 1750 or above, ACT score of 26 or higher, grade point average of 3.5, and be in the top ten percent of their class. Abercrombie & Fitch is a leading American retailer of clothing for ages 18-22 headquartered in New Albany, Ohio. The company was founded in New York City in 1892 and now has over 300 locations in the U.S.